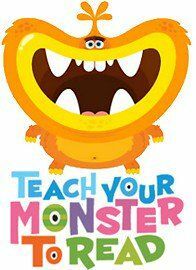 Here is an amazing resource for young learners who are learning to read: It is Teach Your Monster to Read. This is an online program where kids create their own monsters and play fun games to play with it. As a teacher, you can create accounts for your students to play games. Children can learn letters and sounds and the games help children to combine the sound into the words as the kids play the games. As the children play games, they can earn some prizes such as hats, underwear, cakes etc. Like that, the students work on fixing their monster’s spaceships to go home at the end. This game is a great way to teach and assess basic reading skills in a fun way. The game is fun, colorful and enchanting to play!